The Great Britain’s financial market gave birth of the popular Contract for Difference in the late 1990’s. It was primarily used as a hedge to reduce the potential risks attached to the price movements of the physical shares bought and sold in their stock market. It only took a brief time for CFD stocks to become popular in other countries outside London. With the birth of internet, it has easily touched the consciousness of millions of investors around the world. Today, CFDs are gaining prominence over other financial assets in Australia and have instantly attracted retail traders across the country. Historically speaking, Australia was the first country to introduce CFD stocks as tradable instrument in major exchanges in 2007. Its features have attracted thousands of investors, which have reached more than 40000 active traders after five years. As of 2016, the total market value of CFDs in the country was AUS$350 million. There are some notable reasons why Australian traders are turning to CFD stocks as an investment channel. CFDs are known to be inexpensive both in terms of taxes and brokerage. They are tax-efficient because traders would not have to own the particular asset. Instead, they can trade on the value and their future movements. This is why they can avoid paying for capital tax and other taxes on actual profits. Talking about brokerage, online traders do not necessarily have to own big money to start trading. They can just spend AUS$50 or less in order to take a position on a certain asset valued at AUS$100 000 or more. This comes with a good leverage ranging from as much as five to ten per cent. Add to that is the tighter regulation of the country in CFD markets. Traders are mostly happy about more regulations implemented in the market to prevent scammed activities. The Australian Securities and Investments Commission is constantly providing factsheets about CFDs to guide investors in trading. CFD stocks have proved to be an essential part of a trader's portfolio with their ability to attract all types of investors from different trading arenas. 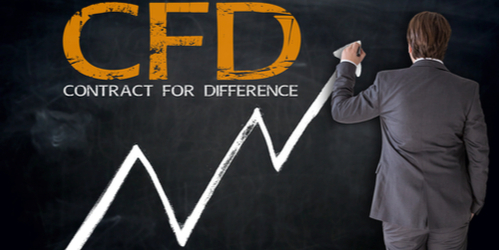 Australian traders will surely grow in numbers as the CFDs market becomes more competitive. It is just of matter of time.